Mahavir Jayanti, the birth anniversary of Lord Mahavira (also spelt as Mahaveer) is celebrated on April 17, 2019. He was the twenty-fourth and last Tirthankara of Avasarpiṇī. 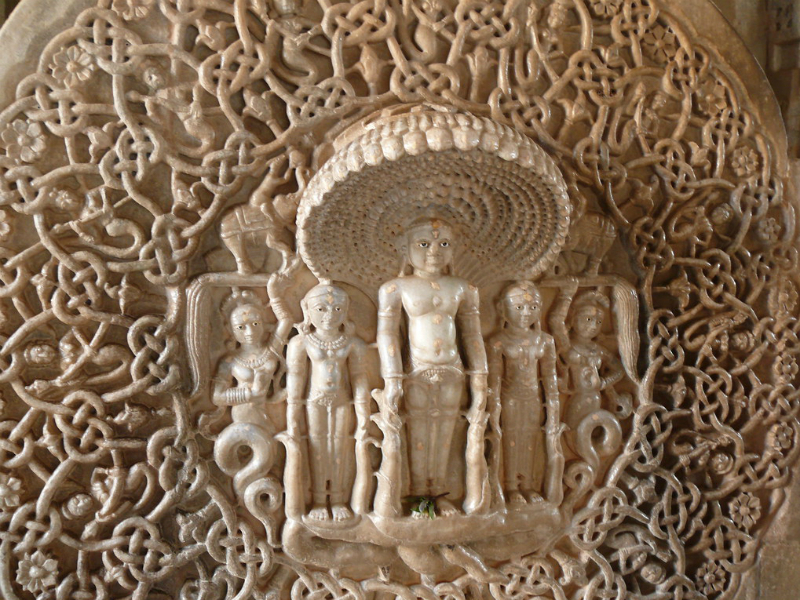 In Jainism, Tirthankara is a saviour and spiritual teacher of the dharma (righteous path). Mahavir Jayanti is one of the biggest Jain festival and people celebrate it much faith and devotion. They greet each other with good thoughts and great wishes. 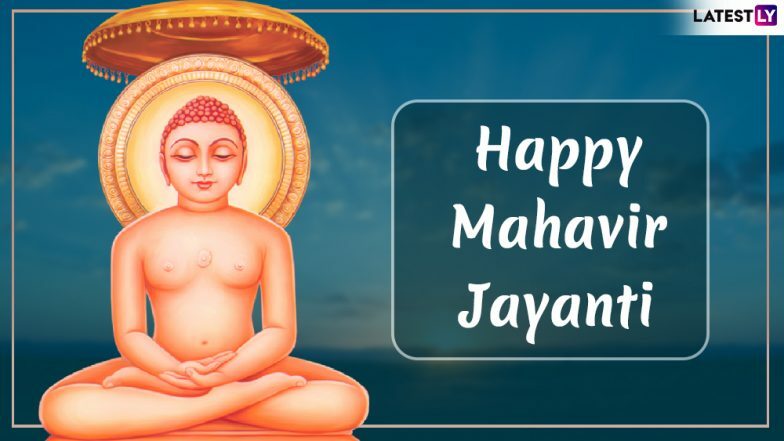 We, on the occasion of Mahavir Jayanti 2019, bring you a collection of Mahavir Jayanti images, HD wallpapers, WhatsApp Stickers, GIF image greetings, SMS, Mahavira quotes and teachings in beautiful format. You can use them to send greetings and wishes online. Happy Mahavir Jayanti 2019. 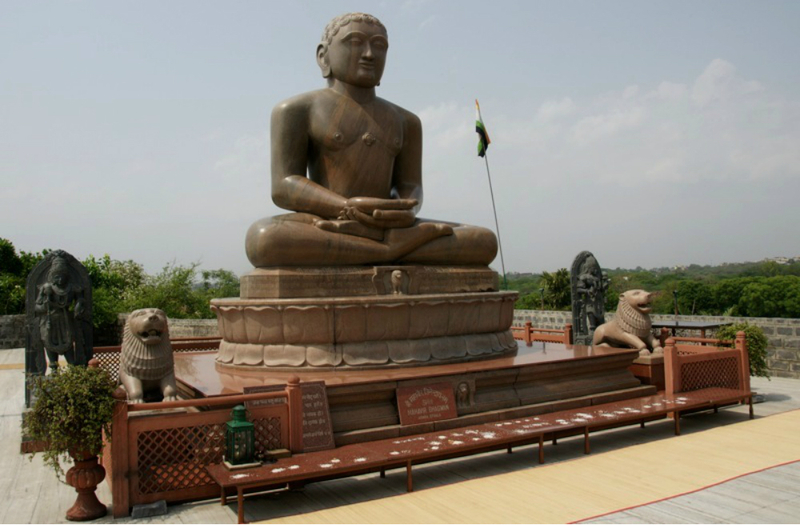 But first let’s know a little more about Lord Mahaveer. Bank Holidays in April This Week: Mahavir Jayanti & Good Friday Offs to Affect Banking Operations; School, Colleges to Remain Shut. 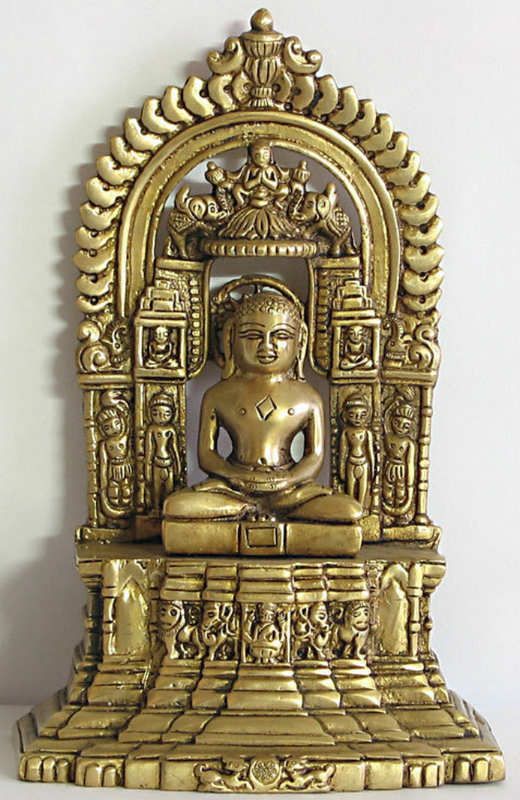 According to Jain texts, Mahaveer was born on the thirteenth day of the bright half of the moon in the month of Chaitra in the year 599 BCE (Chaitra Sud 13). This corresponds to a holiday in March or April as per Gregorian calendar. When the son of King Siddhartha of Kundagrama and Queen Trishala, Mahaveer was born, he was named 'Vardhamana' meaning "One who grows", because of the increased prosperity in the kingdom at the time of his birth. You can learn more on Who Was Mahaveer or Vardhamāna? 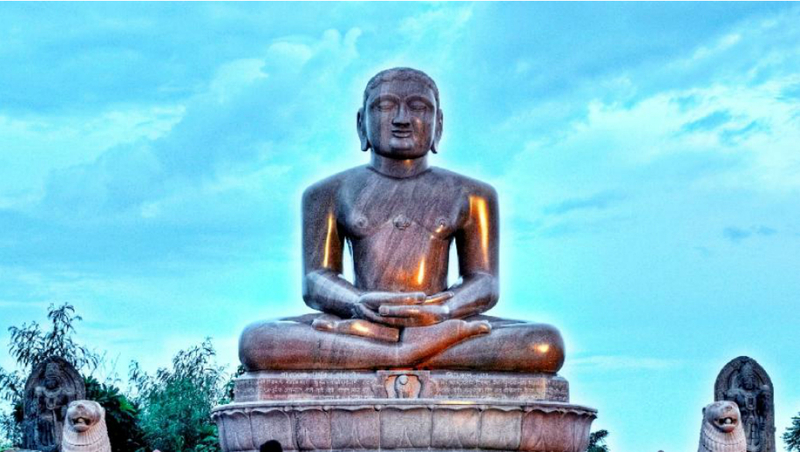 9 Interesting Facts the Last Tirthankara of Jains. Coming to Mahavir Jayanti greetings and messages, you will find a collection of items related to Mahavir Jayanti wishes, Mahavir Jayanti 2019, Mahavir Jayanti greetings, Mahavir Jayanti images, Mahavir Jayanti bank holiday, Mahavir Jayanti wishes in Hindi, Mahavir Jayanti images download, Mahavir Jayanti images with quotes, Mahavir Jayanti HD, Mahavir Jayanti pics, Happy Mahavir Jayanti wishes, Mahavir Jayanti wishes quotes, Mahaveer Jayanti wishes, Mahaveer Jayanti wishes video, and more. 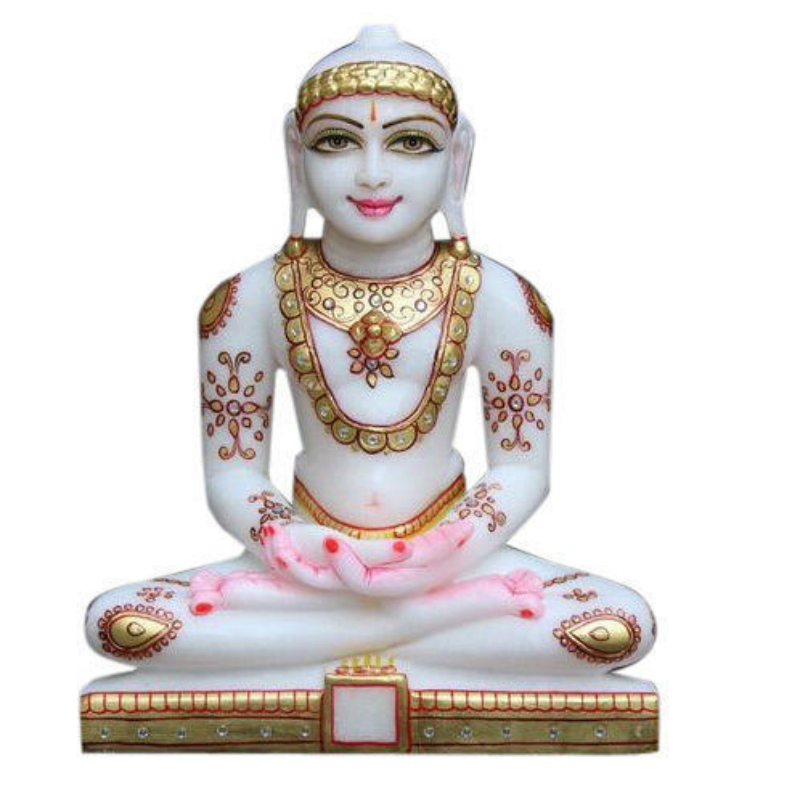 Happy Mahavir Jayanti 2019 Greetings: WhatsApp Stickers, GIF Image Messages, SMS and Quotes to Wish on Mahavir Janma Kalyanak. WhatsApp Message Reads: May Lord Mahavir Fulfill All Your Wishes. Happy Mahavir Jayanti! WhatsApp Message Reads: I Always Ask Lord Mahavir to Give You What You DESERVE, Not What You DESIRE!! It Is Because Your Desires May Be Few, but You Deserve a Lot! Happy Mahavir Jayanti! WhatsApp Message Reads: Fight With Yourself, Why Fight With External Foes? He, Who Conquers Himself Through Himself, Will Obtain Happiness! – Lord Mahavira. Have a Blessed Mahavir Jayanti! WhatsApp Message Reads: Little Keys Can Open Big Locks. Simple Words Can Express Great Thoughts. I Hope My Simple Pray Can Make Your Life Great. Happy Mahavir Jayanti! WhatsApp Message Reads: May the Holy Words Show You the Path to Never Ending Happiness. Sending You Warm Wishes on This Auspicious Day. Happy Mahavir Jayanti! How to Download Mahavir Jayanti WhatsApp Stickers? There are several apps available on Play Store, where you will find Mahavir Jayanti WhatsApp Stickers, Mahavir Jayanti Photo Frames, Happy Mahavir Jayanti Greetings, Mahavir Jayanti Status Video 2019, Mahavir Jayanti Images, and more. You can download HERE. As for Mahavir Jayanti celebrations, it is marked by non-pompous observances. People observe fast (vrat), visit Mahaveer temples to meditate and offer prayers, engage in charitable acts and carry out rallies preaching the Mahaveer's message of Ahiṃsa (non-violence of non-injury).